If your friends call you an inveterate coffeeman, the Odessa city coffeehouse White Whale is the perfect place for you to cheer over a cup of raf. There is practically nothing but coffee drinks, and attentive barista would tell you the difference between robust and arabica. 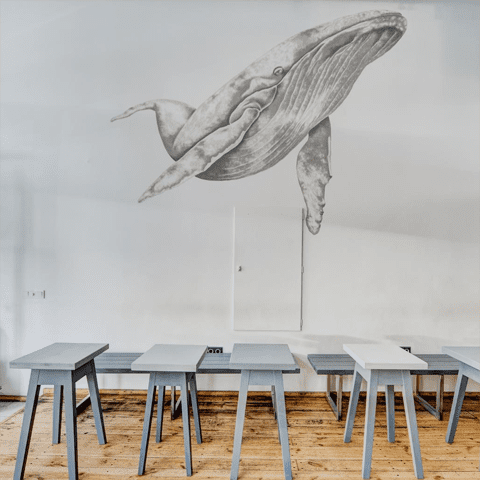 The interior of this establishment is minimalistic, so that nothing will interrupt you while drinking cup of coffee but gigantic whale on one of the walls and reflecting in the mirrors. Thanks to large windows, it seems for visitor that they haven’t walked inside, but are still in the centre of citylife. Perfect place for those, who forgot that sometimes it worth to stop for a minute and breath in full for a new dash. If you miss that time, when omelette with fried sausage for breakfast and tea with honey was the tastiest of all dishes — this place is perfect for you. The concept of Molodost is built on childhood, which was exactly at the end of the 80’s and early 90’s. Here for 24h you can listen the very hits of Britney Spears and Ruki Vverkh. Therefore you can’t sit still and eat potato with herring, because of ‘Macarena’! Cafe works for 24 hours a day, 7 days a week — undisputed winner among other establishments. Where else you can taste hashbrowns at midnight? 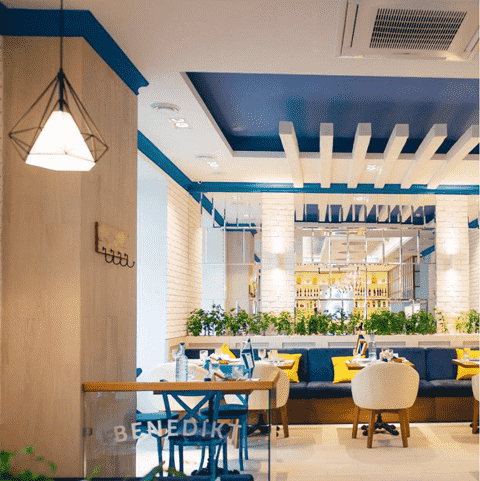 One more interesting place is restaurant Benedict, which is qualified on breakfasts. No, it doesn’t mean that it works only in the first part of the day, but propose you to eat breakfasts all day long. Maybe, a lot of people want to taste scrambled eggs for lunch, but all cafes serve breakfasts until 12 a.m. But in Benedict you can eat favourite shakshouka for lunch, dinner or at night! About 20 species of breakfasts — it is, of course, fantastic. And as a souvenir you can print a postcard for memory on Insta-printer or you can watch ostrich eggs with autographs of celebrities. Oh, this obsession to eat the most delicious and real Italian pasta, so that the fragrant Parmesan pulled his thin cheese threads from the sauce behind the fork. So the icy white dry wine helps to shade all the notes of the dish, whether it’s mushrooms or cream-fried shrimps.There is no need to fly to Italy, if you are in Odessa. 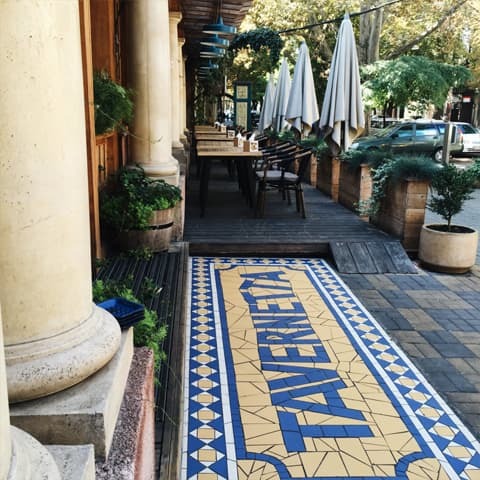 One of the card-visiting restaurants of the city is a classic provincial Italian restaurant, opened by Ukrainian restaurateur Saveliy Libkin — Tavernetta. We recommend to order risotto Frutti di Mare. This city space is real must-see. Everyone must visit 4City every time he comes to Odessa. Firstly, this is more social project, than a place to eat: 70% of each check will be transferred to implement some ideas aimed at improving the city. 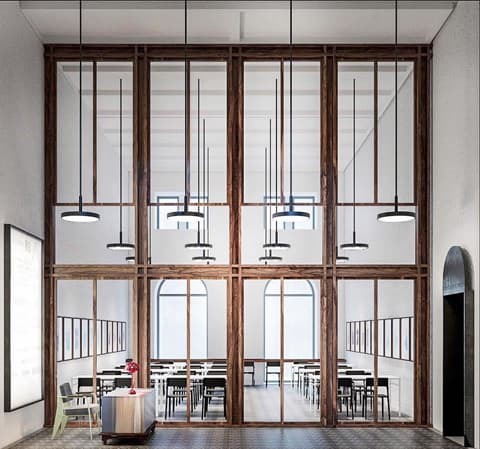 Secondly, there are already several types of spaces: co-working, lecture hall, bar and restaurant. One more advantage: although lectures are paid, but this summ appears like some kind of deposit for your lunch or dinner, and you can use it whenever you want. And your time was passed with use, and money were not just thoughtless spent. This space also has a very interesting history: the initiator of its creation was IT-platform, which engages some charity projects. When they assembled indifferent to the fate of Odessa, it was decided to find 300 investors who are ready to allocate only $ 1,000 each and become a co-founder of this place. For about two months, there were people who wanted to join and to give the necessary sum and place for the project. The rest you can see on your own by visiting 4City. Although Odessa is a young city, that has a rich history. Many cultural figures, writers, poets and artists came here. 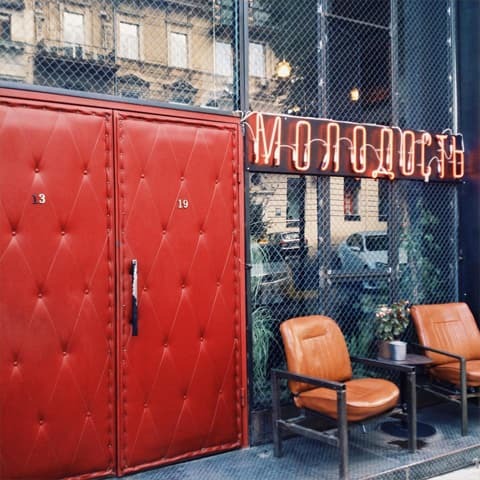 In addition to the beautiful views that were so inspiring, the restaurants in which Mayakovsky and Kuprin had dined were preserved in the city. 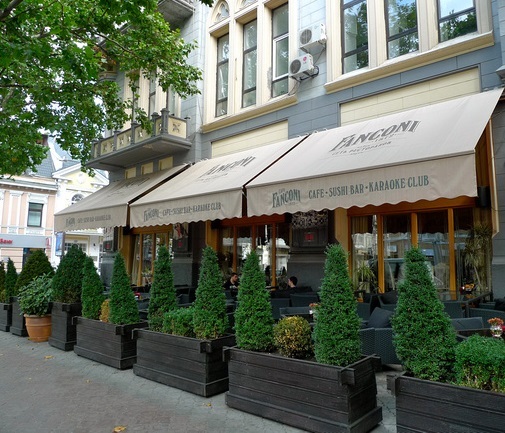 You have the opportunity to feel yourself in their place, by visiting the Fanconi Café and Gambrinus pub.